Aluminum windows have been widely used in commercial applications for more than 50 years, and in that time, they’ve come a long way. Today’s aluminum windows are more durable, stronger and more cost-effective than ever. 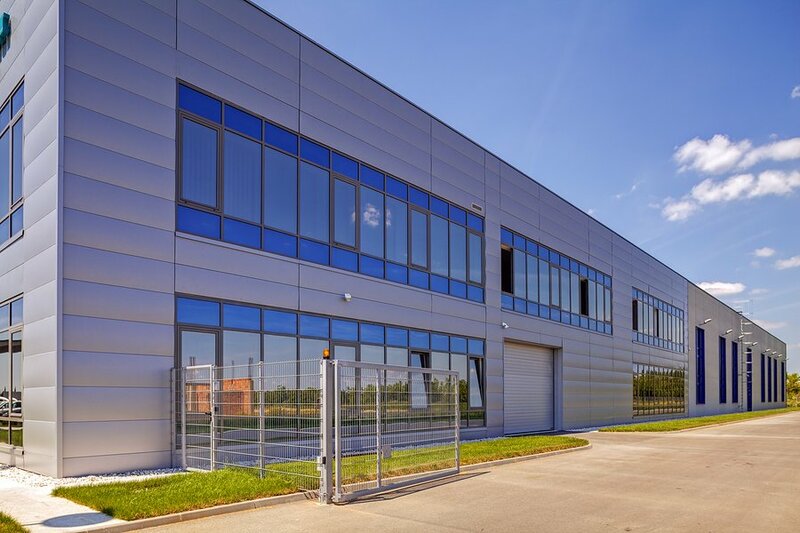 That’s why aluminum windows are utilized in some commercial applications: From new construction projects to replacements and storefront renovations. Aluminum windows have numerous advantages in industrial applications. They’re long lasting; with proper window installation, they commonly last two decades or more. They’re high-performing and provide quality insulation. Plus, they’re cost-effective, offering some of the most competitive prices on the market. With all the pros, there are some disadvantages to installing aluminum windows. Aluminum doesn’t achieve as long of a service life as wood windows, for instance, and aluminum storefront windows also may not be as efficient as wood or vinyl windows, due to aluminum’s high heat and cold conductance. Durability – Compared to other window materials, aluminum is much more resistant to the elements and UV rays. In cold and hot weather, aluminum is very stable, meaning it does not expand and contract as quickly as vinyl. This helps to prevent seals from being prematurely broken. And unlike wood, aluminum is not susceptible to decay and infestations. Design Flexibility – Aluminum windows are easy to customize and are available with numerous options for colors or finishes. Therefore, aluminum windows can be customized to match a particular project’s design needs. Wood and vinyl windows offer more limited customization options. Performance – In tests, aluminum windows consistently achieve the highest AAMA (American Architectural Manufacturers Association) Performance Grades. Aluminum windows are much more likely to meet AW and CW standards, meaning they’re applicable for use in high-rise and mid-rise properties. Vinyl and wood windows, on the other hand, do not regularly achieve performance grades for high-rise developments. Eco-Friendliness – Aluminum is easily recyclable and is commonly re-melted without degrading its strength. Therefore, aluminum windows are typically made from a high percentage of recycled materials. Compared to man-made materials and wood, aluminum can be manufactured with a smaller footprint. Aesthetics – Aluminum does have design versatility. The material is available in numerous colors. But wood and vinyl windows tend to have more aesthetically pleasing options and styles. Mid-Range Cost – Aluminum windows tend to be in the middle of the pack regarding cost. Although there are options that may initially cost less; they tend to fall short regarding performance and durability. In other words, aluminum windows tend to offer the best value, because they’re affordable AND offer a long, low-maintenance life cycle. Efficiency – Aluminum tends to be a high conductor of hot and cold, which when not properly protected against, can bring unwanted cold or heat into an interior space. Today, through installers combat this problem with thermal breaks and other offsetting measures. Overall, aluminum storefront windows are one of the most popular choices for commercial installations. Aluminum, compared to other types of window materials, offers incredible value: They’re efficient, they provide design flexibility and high strength, and they’re durable.